The hotel offers the utmost hospitality to its clients in a homely atmosphere and features comfortable and personalized rooms with private bathroom, hair drier, telephone and TV. 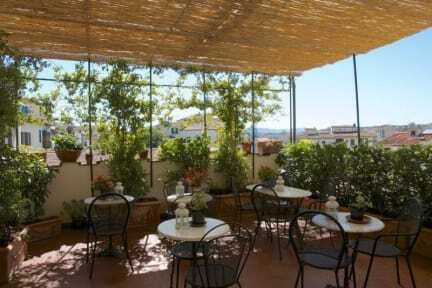 We also have a spacious dining hall for breakfast, bar service and wide flowery terrace over the roofs of Florence. The atmosphere is warm and cosy to make you feel at home. wonderful welcoming place. great breakfast and beautiful rooms. Room was very small and beds where quite firm. Bathroom was large and shower was great. Breakfast was good. It's a great place to stay off the beaten path. And it's only a 20 minute walk away from Santa Maria del Fiore which is great. Right next to bus lines to get to and from central station.